Advocate Health Care is based in Chicago. With 12 acute care hospitals and a children’s hospital, it is the largest private sector employer in Illinois, having 35,000 employees and annual net revenues of $5 billion. Advocate has been recognized as one of the Top 5 Employers in the State of Illinois and is considered the premier health care provider in Chicago. As Vice President of Benefit Services, Kim Dwyer strategizes, designs, develops and implements all employee benefits and wellness programs with communications to support them. She is responsible for all administration and selection of benefits providers, including third party administrators, managed care companies, benefit networks, trustee and recordkeeping services. Kim holds a Bachelor of Science Degree from the University of Illinois, Sports Medicine and Education. She is the executive vice chair of the Midwest Business Group on Health (MBGH) and is or has served as a client advisory board member for Active Health, HealthMedia, MetLife, Institutional Advisors, Fidelity, and ADP Benefit Services. 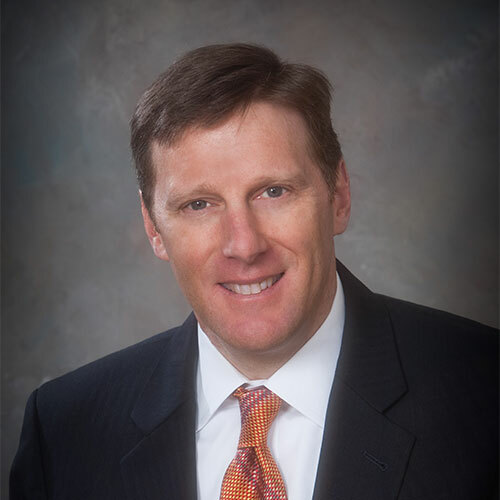 Jeff Tulloch is vice president of MetLife’s PlanSmart®, Workplace Benefits, and Business Advantage organization. In this role he is responsible for overseeing PlanSmart, MetLife’s financial education platform which provides education and assistance to meet the diverse financial needs of employees. More than 170 of the Fortune 500 companies currently rely on PlanSmart to support their financial wellness efforts. Jeff is passionate about helping employees improve their financial wellness through education and is committed to empowering them to take action to achieve their financial goals. He speaks at various seminars on the topic and also works with MetLife leaders globally to bring financial education to international employees of companies located in countries such as India, Japan, and Mexico. In addition to PlanSmart, Jeff oversees MetLife’s Business Advantage organization, leading a cross-channel initiative that provides coordinated resources and support to help MetLife firms succeed in the small business owner market. Through the Workplace Benefits arm of his organization, Jeff manages a team that provides voluntary benefits to companies. Jeff has served in a number of roles with MetLife since joining the company in 1996. Prior to his current role, he had responsibility for MetLife’s Strategic Alliance group, focused on establishing and managing distribution relationships with associations, affinity groups, and a variety of other distribution organizations. Jeff and his wife, Karen, live in Ridgefield, CT, and have two college-aged sons. When he’s not promoting financial wellness, you can find Jeff on a ski slope, racing slalom, giant slalom, and super-G in the United States Masters division.